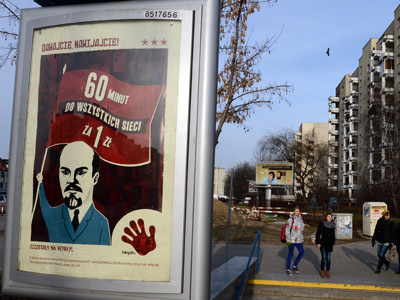 A leading Polish mobile operator had to retract its newly-launched advertising campaign featuring Soviet communist leader Vladimir Lenin after facing a wave of protests. In the ads for Polska Telefonia Cyfrowa, a cartoon of Lenin urged customers to sign up for the company’s newest offer. INR is a Polish government-affiliated organization mainly investigating Nazi and Soviet crimes committed in Poland between 1939 and 1989. The mobile company reacted immediately by shutting the controversial campaign down. “In view of the unfavorable comments that have been expressed against the campaign, as well as the emergence of ideological threads in the discussion, we have decided to end [the campaign],” the company said in the official statement. 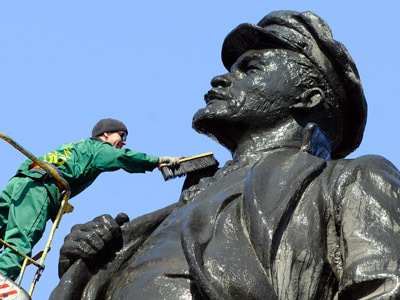 Along with other Soviet Communist leaders, the name of Lenin invokes negative sentiment in Poland, as many still remember the crimes committed by the Soviet Union against the Polish people. In May 2012, protests broke out in Polish Gdansk as Lenin`s name was temporarily reinstated for a movie shoot. 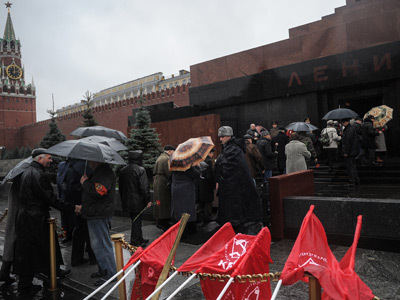 Over a hundred protesters gathered together singing “We will hang communists on the trees instead of leaves” and throwing eggs at portraits of communist leaders.